For two inch bar rail. 135 degree angle fitting. 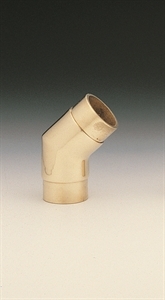 Available in Polished Brass, Polished Stainless Steel or Brushed Stainless Steel.